Today is the fourth anniversary of my mothers passing. I miss her every day. When going through some old files a few days ago, I came across this letter that I wrote for my mom for her retirement dinner, many years ago. It is not sophisticated, but it does share just a little of how I feel about her. Thought a lot about what I was going to talk about tonight. It leads me to a nickname my mom has, that ties together experiences of those who have worked with her over the years and those that she raised, her family. The nickname “General” was given to my mom. If you know my mom I do not even need to explain it to you, she is in control, running the show, leading the troops, anytime she is involved. I joke with friends I have met over the years, especially those I have met since living away from home, those who do not know my mom. I joke that even in my forties and several hundred miles from home, she can command my attention and get me to do what she wants. I titled this little story “Lady General” because for a while that was my mother’s AOL screen name, the one she would send me countless chain emails from, you know the kind that tells you if you do not read it and send it to 2500 of your closest friends that you will get hit by a bus tomorrow. But I picked the title “Lady General” because despite being the General of the family, my mom was and is always a mom, always a lady. She has worked hard for a lot of years, raising four kids, while keeping all of you in line at Crozer. I said to her just yesterday, I still do not know how she raised us and worked, yet still had dinner on the table, and we all sat down and ate together, most nights. I have been a working mother for almost 20 years now, and gave up on trying to do this and just married a man who could cook and was home more than me. Sometimes when I remember you being there, I remember you barking out orders and making sure everyone was doing what they were supposed to do (aka what you wanted them to do), that is where the general comes in. I always remember you being there, for events, for dinner, sometimes even when I didn’t want you to be there, for that, I will always see you as a Lady, a mother. 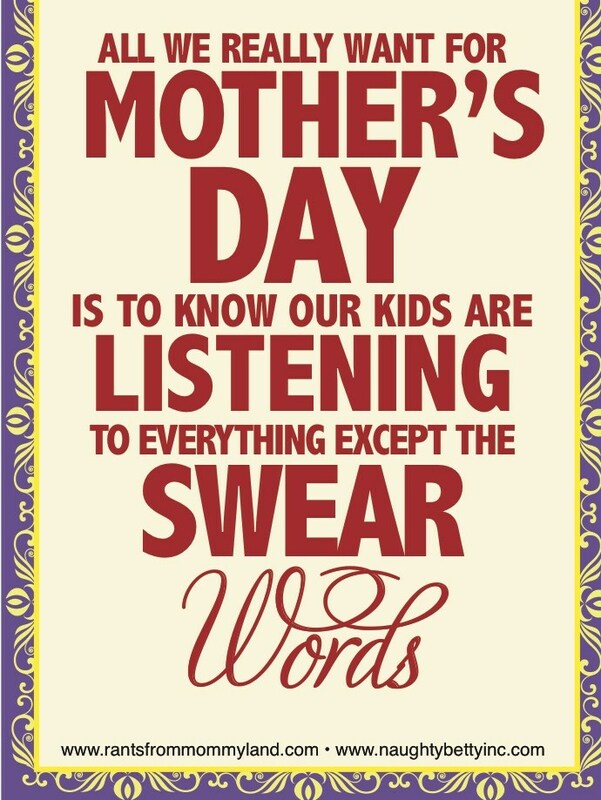 Happy Mothers’ Day to all of the fabulous moms in the world! I love this little saying I found today, it made me laugh out loud and I thought I would share it :). It also lets us know that although we strive for perfection in our lives, we do not need to be perfect to be great moms. It is OK to laugh at ourselves and it OK to admit we curse like sailors on occasion :). For today it has been a Great Mothers Day so far! It is only 2 pm and I ran two miles, went to Target, got my front yard all cleaned up for planting next week, and did the weeding in the side yard, made lunch (just for me), and managed to get the men folk to clean out the garage and clean up the backyard. The rest of the day, will be chill time until dinner tonight with the family. Life is good! Oh and one more thing. What is up with Target? Went there today for a trowel to help with cleanup in my yard; left there with the trowel, a small shovel, body wash, Q-tips, two shirts, and a Three Musketeers bar. I am convinced that the bulls-eye secretly spins to hypnotize us all. Call your mom, hug your wife, and thank your grandmother – all of these women make life worth living. Well, it has been a little over a month since my last post and it has been a month which carried a lot of sadness. On April 12, 2013 the world lost a strong and loving woman, on this date my mother passed away after a period of extended illness; my world will never be the same. In my family my mother’s nickname was The General; that alone should tell you the pivotal role she played in our lives. For the past several years I have lived hundreds of miles from my parents and I used to joke (well sort of joke) that even though I was hundreds of miles away and in my forties my mom could still call me and tell me what to do. Like when I was a teen I did not always listen, but I certainly paid attention. 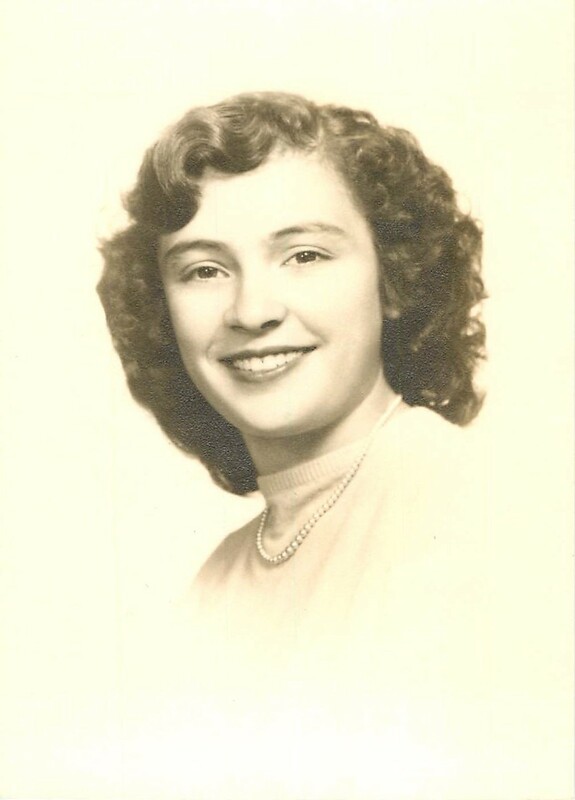 My mother loved fiercely, for me that love and strength fueled me in so many parts of my life. She is huge part of how I lead at work and how I have raised my children. I feel I could write a book if I took the time to include all that she has done for me. Since her passing I have played some of my memories of her in my head some have made me cry, some have made me smile. Yesterday when I was getting ready for a run, one in particular came to mind and in that memory I took action to etch my mother firmly into my running. In early fall of last year I traveled back east and took my parents on a mini vacation to Wildwood, NJ. While there I wanted to buy a hat for running; I was still pretty new to running and had not purchased a hat or headband or anything. Because Wildwood was such a part of my childhood and I did not get there very often anymore I wanted a Wildwood hat; little did I know this hat would mean so much more. As it turns out I would only see my mom two more times after this vacation and that time with my parents in NJ holds some special memories for me. Most of the winter I have been wearing a wool cap when I run and I also purchased a Bondi Band so I do not always wear this hat. Yesterday it was raining and I definitely wanted a baseball cap, so I pulled out this hat to wear on my run. As I was ready to put it on memories of that time with my parents came flooding back. 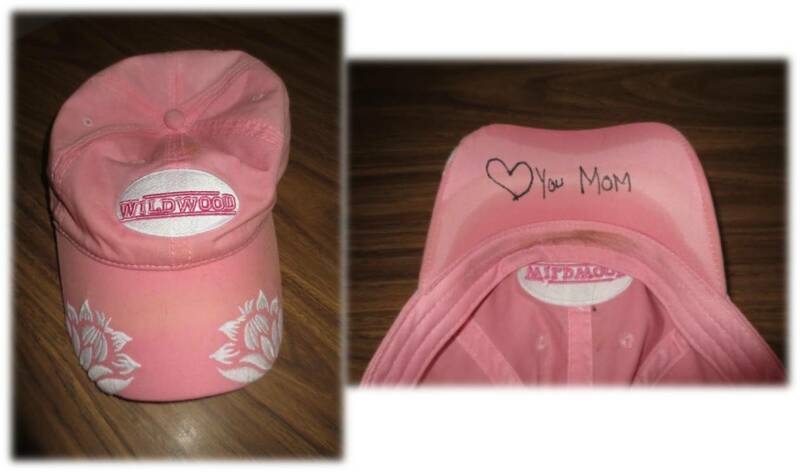 So I took my hat and a Sharpie and wrote a little note for my mom. I put on my hat and took my mom with me on my run, it was the best run I have had in months. Love and miss you Mom.